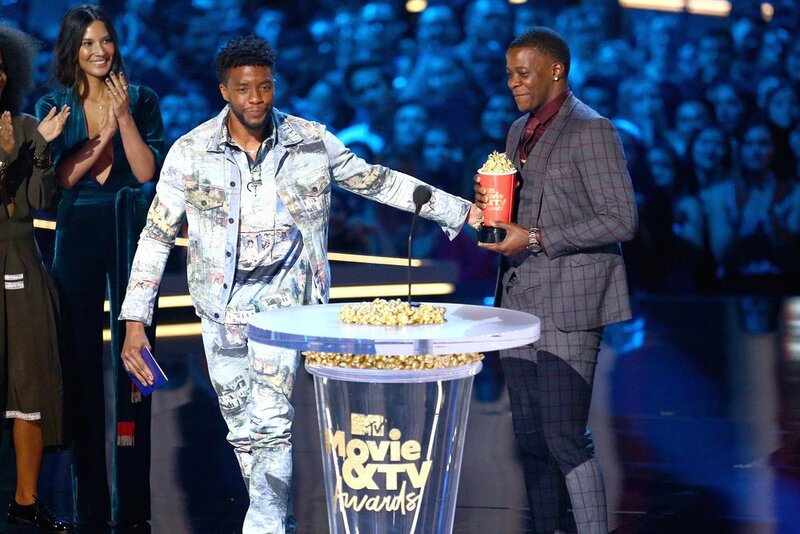 Winner Chadwick Boseman gives his trophy to Waffle House hero James Shaw, Jr.
First of all, I don't know whose idea it was to hold this thing on Saturday night and not air it until today (does anyone care about an awards show that's not live, much less one that took place two days ago? ), but for those who are wondering, here are all the winners. Unsurprisingly, Black Panther won most of them, while Stranger Things was the favorite on the TV side. June 18, 2018 by Ariel Shavonne.